Coffee chain giant Starbucks have partnered with Mora Ice Creamery, a small batch ice cream maker in Bainbridge, Washington. To commemorate the pairing, Starbucks in America has a batch of new ice-cream beverages and desserts coming to select stores in Los Angeles, Chicago, Maryland, Boston and Washington, D.C. this week as a part of a “Roastery Affogato” menu. The exciting additions will eventually roll out to over 100 stores in Orange County, California. First off, the mother of all coffee desserts: the affogato. The dessert is made by pouring a shot of fresh espresso over a scoop of ice cream. Bitter and sweet in one, the pudding is quite popular in Italy where coffee reigns supreme. Before Starbucks, the pudding saw little popularity in America save for uppity connoisseurs on the up-and-up with coffee culture. 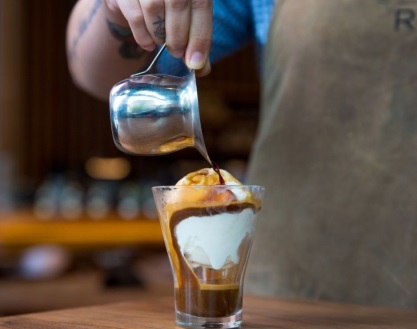 As Starbucks is known across the world, it’s likely that the affogato will quickly become a fan favourite. Customers must choose between the Classic Affogato and the House Affogato. A bit of Demerara syrup and cinnamon gives the House Affogato its signature Starbucks-spin. A variation of the affogato is being added as well, the Shakerato Affogato. This concoction features shaken espresso shots shaken poured over ice cream. The finishing touches are everything, instilling beauty with a sprig of mint and full-on flavour with vanilla syrup. That’s not all! Cold Brew floats are to be added. Another taste of Italy, the Vesuviaus Float is named after Mount Vesuvias in Italy “reminiscent of a subtle volcanic eruption.” Cold Brew coffee is shaken with orange peel, orange-piloncillo syrup and ice before being strained over ice cream and topped with mocha powder and an orange twist. 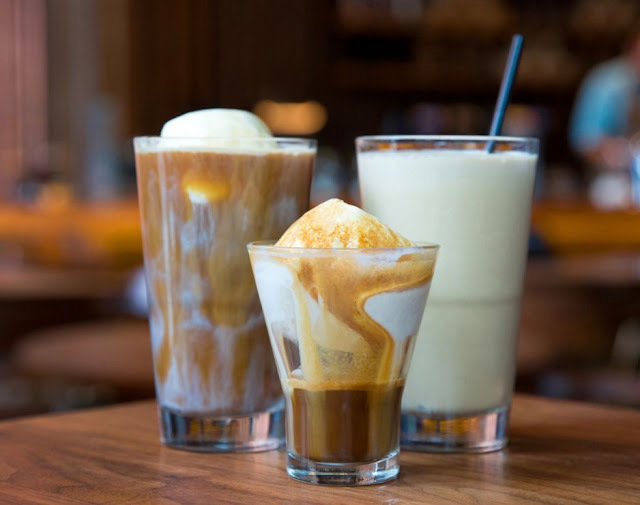 Before the actual affogato came to Starbucks, the Affogato Frappuccino featured on their secret menu. It’s actually quite good. 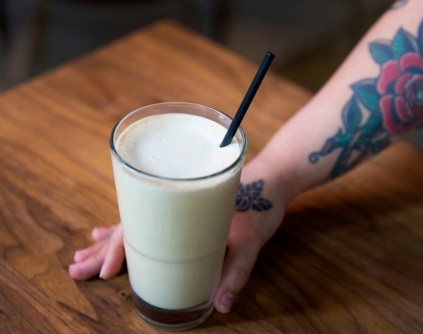 Keeping with the traditional affogato dessert, a vanilla bean frappe serves as the base. The coffee-free frappe is poured into the cup first. A hot espresso shot is poured over the top of the base. It filters slowly through the frappe, half melting the frappe in the process. The result is a creamy, rich drink with a healthy balance of coffee taste and vanilla sweetness. The drink saw such success that it was added to the official menu in 2016. Along with the original vanilla bean frappe, Starbucks added caramel and mocha variations.